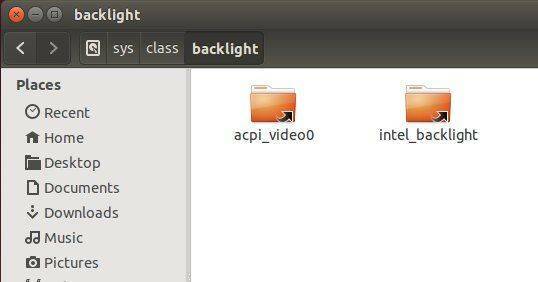 Laptop users still have the backlight issue in Ubuntu 14.04. Every time Ubuntu boots up you get the maximum level of screen brightness. 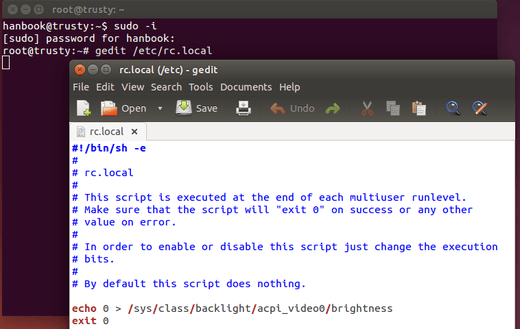 Here’s a workaround by adding a startup script which will automatically adjust screen brightness when Ubuntu boots up. In each folder there’s a file called actual_brightness, you can see its content (brightness value) through the thumbnail icon. Change your screen brightness through Fn + Arrow key. Check out the actual_brightness files in each folder (Re-open each folder to refresh the value). Remember the folder name in which the value of actual_brightness changes. Mine is 9, so I can set backlight level from 0 to 9. 2. Run the command below one by one. You’ll get the super user privilege and open the /etc/rc.local file, a script executed at the end of each multiuser runlevel, with gedit editor. Add the line below before the last. Change the number 0 to the brightness level you want. Thank you for this solution! Working perfectly on my laptops. This is so useful. 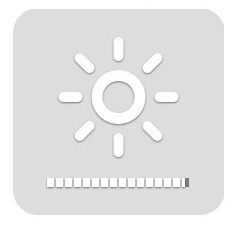 Each time ,I switch on my laptop ,I manually decrease the brightness. I won’t have to do that aymore. I could now extend this to automate all the tasks that I perform everytime I turn on my laptop. Thanks a lot. hola queria comentar que utilice la misma logica de lo explicado aca para cambiar el valor del brillo del teclado por defecto, con resultados regulares, no inicia apagado, pero inicia al minimo. quizas puedas preparar una entrada con el tema ya que se repite la pregunta en los foros. It worked perfectly for me. Thanks a lot! 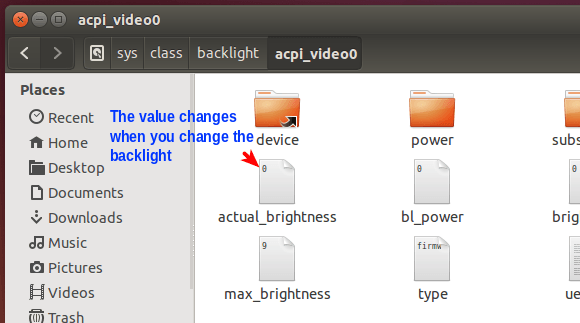 I tried your solution but discovered that I didn’t have files or directory under …..
“/acpi_video0/max_brightness” does not exist on my new installation of Ubuntu 14.04.1 on my Sony Vaio VGN-AW11Z laptop. Can you advise what I can do to resolve this? I managed to fix the brightness problem on my Sony Vaio laptop by modifying the directory path from described above. cat /sys/class/backlight/acpi_video0/max_brightness # directory “acpi_video0” doesn’t exist on Sony Vaio laptop so I changed this to…. then I tried to edit the brightness file…. and it works for my Sony Vaio. Thank you for proposed solution, but don’t you think that it is rather ridiculous that all this steps are needed to be performed for such a common sense settings, why is it even in the UI then? do you know what happening? Thanks for the help! My actual path was “…/intel_backlight/…”. Thank you so much. Worked liked a charm. There are no files in the backlight folder. Hello! Thanks for your tip. It works fine with my Toshiba Satellite laptop. PS: Where I decrease the brightness of the screen, the value in the “actual_brightness” changes in both folders. I just applied your tip on the /sys/class/backlight/acpi_video0/brightness and it works. But for now we have sysvinit script for saving and restoring brightness level between reboots. Worked fine on my Asus laptop running 14.04LTS. I had values in BOTH folders. acpi_video0 brightness values from 0 to 100 and intel_backlight brightness values to 4882 but I set your startup script to set the level to 82 and on reboot, that’s where the value remianed. I can’t really say that this works on my system. After setting the value like you said, when I reboot, the screen brightness is at its maximum level until I press the brightness_increase key, then the brightness returns to the value set in the script. Even when I run the “cat” brightness command, it says the brightness value is what I set, until I tap the increase key then it returns to the value set. or you can navigate to /sys/class/backlight and see every directory, searching for the brightness file. There is some problem. I set brightness and It works fine. But now brightness controller buttons(on the keyboard) do not work and brightness indicator do not shows up. I want to be able to increase the brightness when I need. Is there any way to fix this? Worked for me too, after trying other “solutions”, thanks. I noticed my `sys/class/backlight` folder is empty. Somewhere I read that this means that Ubuntu thinks I do have knobs to manually adjust the brightness and all that was left was to file a bug report. `cat /sys/…/brightness` I do get a 1 in both cases. Seems I was right by claiming the brightness is at it’s peak. Most of the comments around mention they get 10, 200, 30000 or any other big integer. The only non-negative integer lesser than 1 is 0, and I’m afraid setting the brightness file to 0 will black out the screen. I tried to set the brightness file to 0.5 just to see what happens, but couldn’t do it. Even under the `sudo -i` prompt, Ubuntu won’t let me change its value. I feel sort of lost. What to do now? Hi Ji m, thank you most helpful. However I used the following for Acer 5750G laptop running Ubuntu 16.04 LTS. This no longer works for me after updating my 14.04 using all the official sources. What could be the issue?